Strategy. This is where it all starts. Whether you are fighting for market share, running for office, or influencing public opinion, you must have a strategy. But how to begin? Commit to writing – and following – a plan. It is tempting to make “strategy” an entire undertaking itself. Many organizations will spend months on strategic planning, stakeholder meetings, 360 degree observations, and Six-Sigma-Agile-Strengths-Finding processes. Sometimes those activities are necessary, but often the best plans are simple, clear, and quickly executed. To paraphrase General George Patton, a good plan today is better than a perfect plan tomorrow. In this guide, our approach is going to be a lightweight, effective, and nimble approach to strategic planning. But it also has to be documented – in a notebook, on a whiteboard, in the company breakroom, but somewhere so everyone knows it. If your plan isn’t in writing, it’s not really a plan. So commit to having a written plan that everyone follows. Set clear and measurable goals. Like Steven Covey says in 7 Habits of Successful People, you must begin with the end in mind. In other words, start with your goals. What does a “win” or “success” look like for your organization? Sometimes this will involve owners, executives, managers, or other leaders, but it is critical that you start with those business objectives and let your communications plan flow from there. These big-picture goals can be things like vote share, top-line revenue, policy changes, lease-ups or occupancy rates. But start at the top of your organization, and make sure your communication goals relate directly to your organizational objectives. How will you measure progress along the way? Make sure your communications goals are in the “SMART” format. By having clear metrics, you can break up your goals into quarterly, monthly, or weekly milestones. These benchmarks will help guide your team to ensure that time, energy and money are being spent on things that move the needle for your organization. Once you’ve established those measurable goals, work backwards to define the rest of your strategy. Who will you talk to, and what will you say? 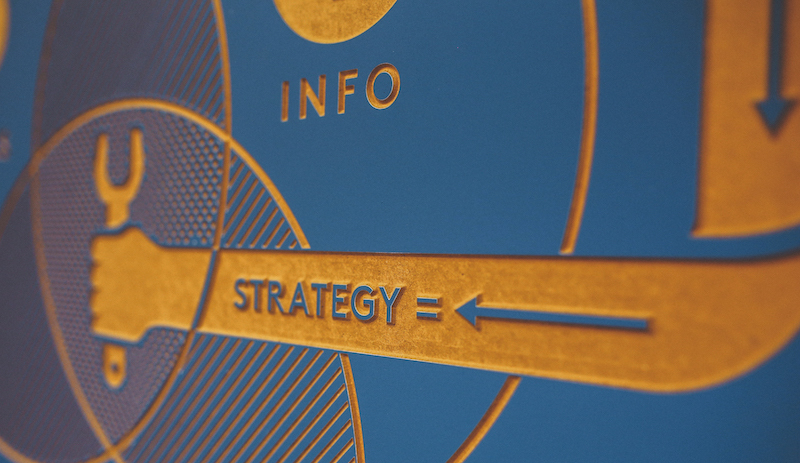 Your communications strategy should include a clear understanding of your target audience – whether customers, prospective clients, or persuadable voters. In this part of your planning you should identify your target customers, clients, or voters. Develop buyer personas to understand your target audiences, and outline their demographic, geographic, and psychographic features. Once you’ve created a profile for your targets, your key messages become much more clear. Identify the questions, needs, or pain points for your target audience. Then use your key messages to answer them. It’s important to remember that a message is not necessarily a slogan or a tagline, but rather a brand promise – a statement of how and why you are the right choice for your client, customer or voter. Pro Tip: If you could guarantee your target audience would remember one thing about your organizations, what would it be? Start your message there. Build out the plan. Then work it! This is where the rubber meets the road, and is the meat and potatoes of your strategy. Since you now know your goals, your target audiences, and your key messages, the last step is to outline how and when you put this all together. We like Gini Dietrich’s PESO Model for strategic communications, because it covers all the big buckets of marketing and communications (Paid, Earned, Shared/Social, and Owned media). Based on your budget, staff resources and timeframe, outline your PR and marketing tactics, connecting each one back to your goals and milestones. Your plan should also include a timeline and a budget, so that at any point during the year you can quickly measure your efforts against milestones and production schedules. Check your progress against the plan on a weekly, monthly and quarterly basis, and adjust your tactics and milestones to ensure you hit your goals. Make a plan. Stay focused on your strategy. Execute it relentlessly. Interested in more of our SCORE Process? Download our FREE ebook and start your winning PR campaign today!